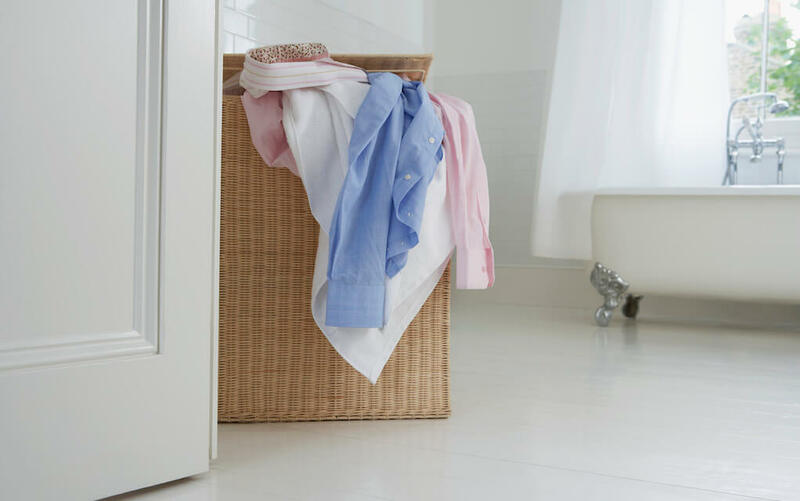 From ways to organise your utility room to laundry design ideas to simple tips to help make laundry quicker and easier, you’ll love these laundry hacks. This is a nice idea from Twelve on Main to put a hanging pole between the laundry cabinets so you can hang shirts up to dry or after ironing – one of our favourite laundry hacks! 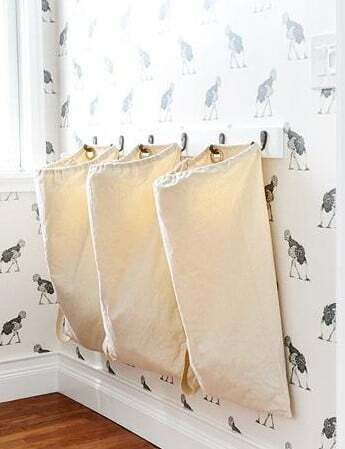 We love this simple sorting system idea from Yellow Brick Home who used canvas bags to make laundry organisation more efficient, but at the same time doesn’t take up much space. 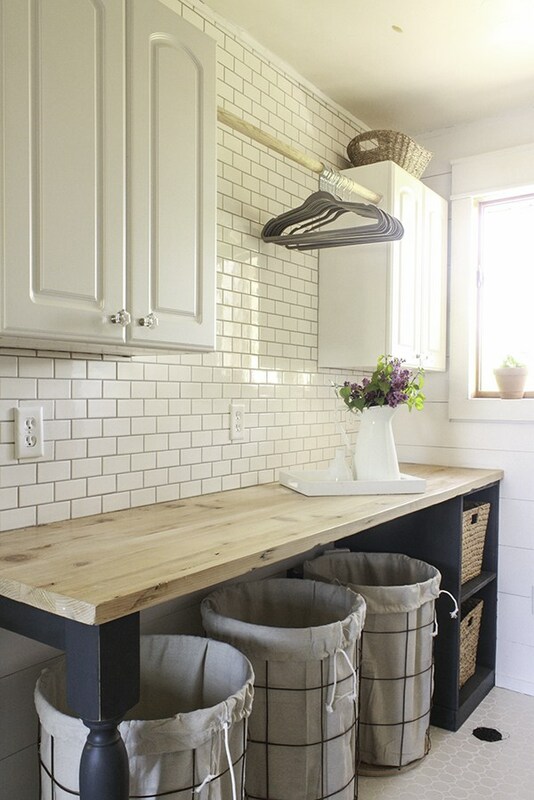 This is such a clever idea from Hold onto your Hats, creating angled shelves above the washing machine so when you put your laundry baskets up on them you can reach them more easily. This slide out storage tower from Amazon.com (we found a similar one on Amazon.co.uk too) is a pull out 3-tier cupboard on wheels which fits between appliances. Casters make it glide effortlessly for easy access and helps you keep items organized and at your fingertips. If you’re short of space and need a place to store your ironing board away, this idea from A Diamond in the Stuff is a nifty one – hang your board on hooks on the wall. Why not make a place for those poor socks that are missing their “sole mate” with this fun creative project from Michaels.com? 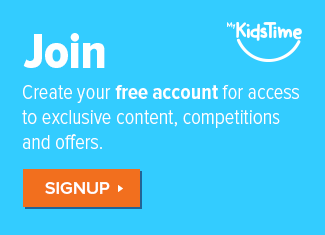 Fun, stylish and handy too. 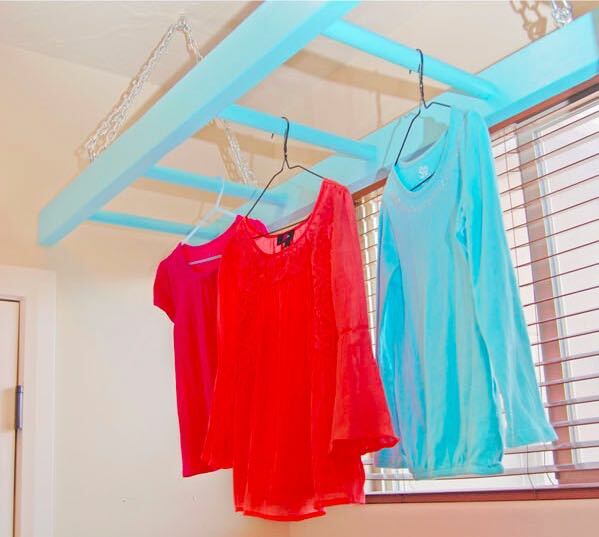 In the old days, many houses used to have ceiling clothes racks that pulled up and down, in fact I had one in my first student flat in the kitchen and we did use it! 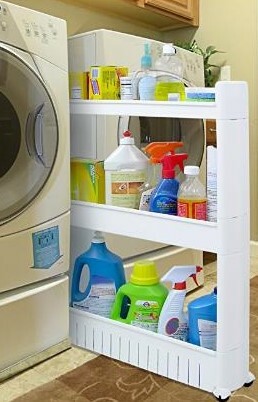 Here’s a tutorial from One Creative Mommy to make one for your laundry room.